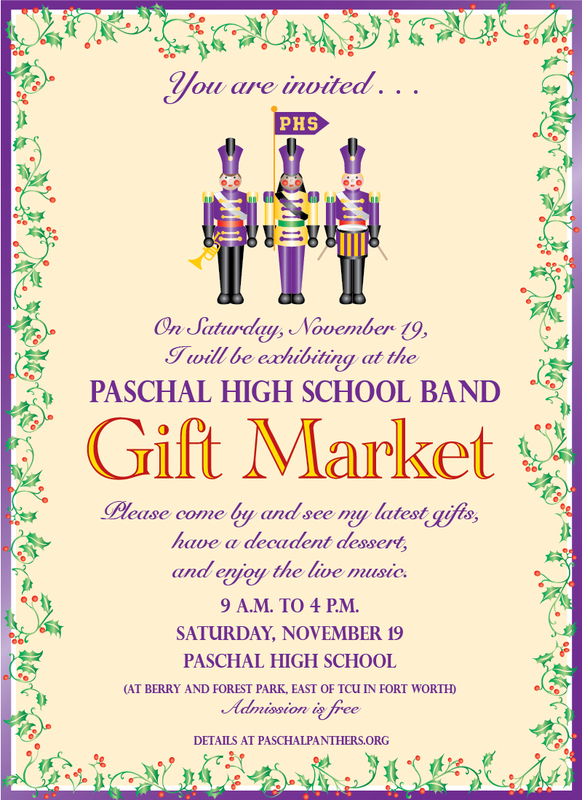 "You are invited to be a vendor at the annual Paschal High School Band Holiday Gift Market!" 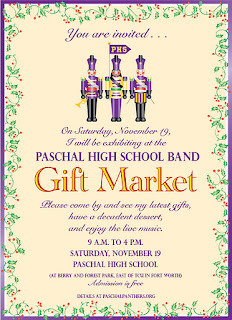 Click the image above for event flyer. Booths are 6 X 16 and cost $85. Tables and electricity are available for an additional cost. Applications are available here and are due ASAP. 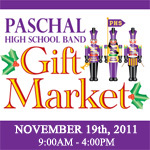 Only a few booths remain.